Effective pest control services can help you get rid of annoying pests forever. A reliable service provider can clean your office/home from annoying pests in a safe way. 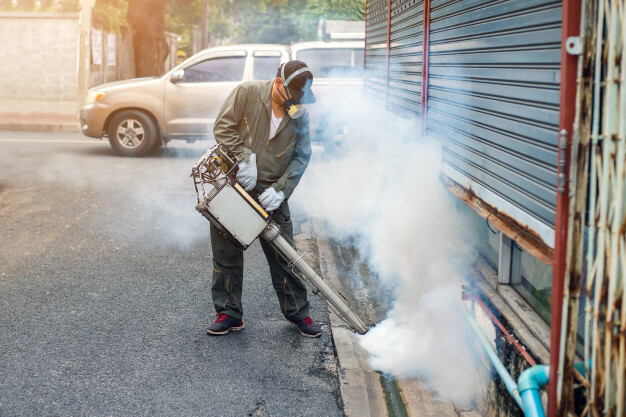 At Glen Environmental, we provide the most wholesome pest control in Yonkers for people who are dealing with pesky pests. Here are a couple of great reasons why you should hire us for pest control services. In our wide experience in the field of pest control, we have dealt with a large variety of annoying pests. We have removed all big and small pests from the houses of our clients. Our team uses extremely safe measures to get rid of the pests in a wholesome manner. We carry the necessary equipment to make sure that the pests do not try and infect your house again. Our team has access to multiple high-tech tools for pest control in hard-to-reach locations. Our pest control in Yonkers is extremely popular because of its end-to-end nature. Our services ensure that your office/home is completely pest-free when the team leaves. Moreover, the team goes to extra lengths to find the source of the pest and eliminate it. The team can plug holes and set up fences to ensure that the pests do not bother you again. The affordability of our pest control in Yonkers is another reason why so many people opt for our services. Want to get rid of pests but do not want to spend a hefty amount in doing so? Glen Environmental pest control specialists are here to help you. We conduct the entire pest control operation with high levels of efficiency so that you can occupy your living space again quickly. The identification of the pest plays a major role in pest control services. To ensure that we use the safest solutions to get rid of the pests, we identify and classify the type of pests first. Our dedicated pest control identification team has dealt with thousands of different pests in last few years. The team has access to an entire catalogue of different pests and the necessary pest control measures to help you get rid of pests as quickly as possible. Safety of our clients is our topmost priority. We have helped several home and office owners in Yonkers to get rid of the pests in the safest way possible. Our team usually puts up the safety filters and screens to ensure that the contamination does not spread during the pest removal process. We also ensure that there is minimal to no damage to the furniture around the location of contamination. Most of our pest control products are biodegradable and safe for humans as well as pets. The best part about availing pest control in Yonkers from Glen Environmental is the sustainability of the solution. So, if you are dealing with pests, contact our customer support team at Glen Environmental today!